HB 1774 threatens the rights of every property owner in the state and strengthens the hand of insurance companies in claims disputes. In doing so, it endangers the ability of property owners to rebuild after disaster strikes. 3) Requires property owners to send additional and highly-detailed pre-suit notice with serious consequences for their recovery if they do not correctly guess at the outset what the jury may ultimately award them. If it passes into law, HB 1774 will result in additional delay, cost, and uncertainty for property owners, which will only work in favor of insurers. It does nothing to distinguish good claims from bad and effectively rewards insurers that cheat their customers by lessening penalties and giving them special privileges under the law. 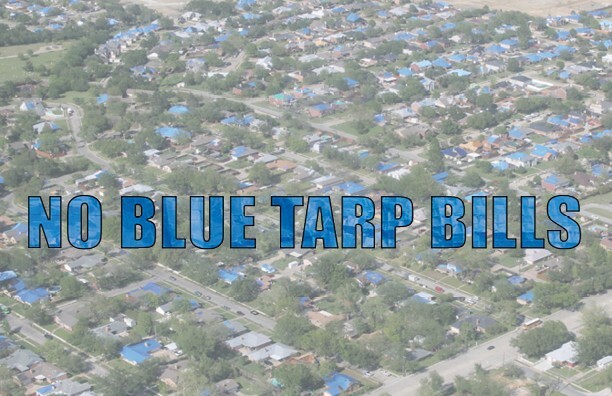 The Blue Tarp Bill moves next to the House Calendars Committee.